*Although it’s been 25 years since public opinion and the media were engulfed in the Supreme Court Justice confirmation hearing of Clarence Thomas, renewed interest in the case has resurfaced with “Confirmation,” HBO’s upcoming look into the game-changing proceedings. The film, which will air April 16, stars Wendell Pierce as Thomas and Kerry Washington as Anita Hill, the woman who testified against Thomas before the Senate Judiciary Committee in 1991. At the time, Hill generated headlines while facing probing and explicit questions from the Committee regarding her and Thomas. In her testimony, Hill stated that Thomas repeatedly made unwanted sexual advances toward her during the time she worked with him in government positions. Thomas’ nomination came from then President George H. W. Bush in an effort to succeed Thurgood Marshall, the court’s first Black justice. The notion of Thomas, an African American man being put on the spot by the testimony of Hill, a African-American woman in such a high-level situation triggered a slew of criticism directed at Hill. While many accused Hill being a race traitor for speaking candidly about Thomas’ harassment, others wondered what exactly did she do to provoke or encourage the behavior. In an interview with former MSNBC personality Melissa Harris-Perry for Essence, Hill looks back on the case before the premiere of “Confirmation” as well as her personal journey since the controversial hearings. MELISSA HARRIS-PERRY: What do you think of Kerry Washington’s performance in the film? 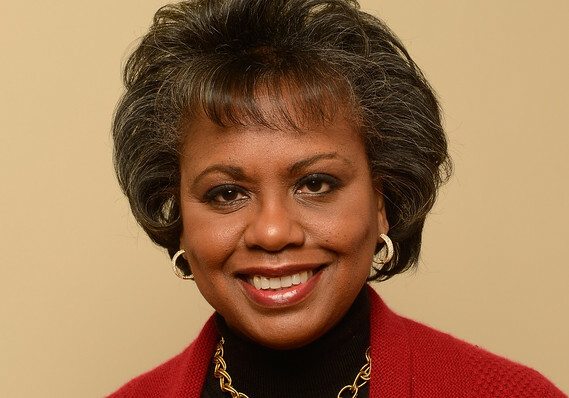 ANITA HILL: I loved her dignity and emotion. She appeared a lot more dignified than I felt during that moment, but she still lost nothing in terms of how painful the experience was. That is hard to convey, but she did it beautifully. HARRIS-PERRY: During the hearings it seemed that few in the public sphere were questioning how the process was violent toward you and your family. Instead it was Justice Thomas who used the metaphor “high-tech lynching” to describe his experience. There is a key -scene in the movie when Washington expresses outrage about his using the word lynching. Is this an authentic moment? HILL: Yes. I did find it outrageous. My grandfather was threatened with an actual lynching. It was 1905 and he homesteaded land. He settled his wife and eight children into a two-room cabin on his own land. It was obviously very modest, but it was his property. He believed in America’s promise and was ready to take advantage of all the opportunities it offered. Neither the federal government nor local authorities did what was necessary to enforce his right to own property. His land was taken away and he had to flee a real threat of lynching. The only thing I regret about this story is that we only tell my grandfather’s side. We never tell my grandmother’s part of the story. We didn’t grow up hearing the stories of African-American women suffering when their families were destroyed. We didn’t hear their point of view. I think that’s why the lynching metaphor was effective in 1991, because Black women didn’t know our own stories. We did not claim a clear political or social identity in terms of what had happened to us all those years in the context of racial and sexual violence. HARRIS-PERRY: What difference did it make in the hearings that those stories were lost and that the -nation does not have a context for understanding Black women’s experiences? HILL: I’ve had almost 25 years to think about this. Let me ask this very basic question: What if the Senate had actually taken me seriously? What if they decided that they were going to use this as an opportunity to reflect best practices in the workplace? I think they would have done a thorough investigation, not a rushed investigation led by the FBI, which had, as far as we know, very little experience investigating sexual harassment. It would have meant calling qualified experts in sexual harassment. It would have meant throwing out irrelevant testimonies and calling all the witnesses who were testifying to similar patterns of behavior. What if they had reflected best practices? How much pain and anguish could they have saved American women? How might that have changed the way women in this country think about our -workplaces and about how we are represented in our government? That’s the question I want people to be asking 25 years later—what if they had done the right thing and not the politically expedient thing? Click here to read the rest of Harris-Perry’s interview with Hill.